Albert Pujols finally put everyone out of their misery a little before 4AM EDT Sunday morning to lift the Angels past the Red Sox 5-4. At six hours and thirty one minutes, the game was the longest in the history of Angel Stadium. 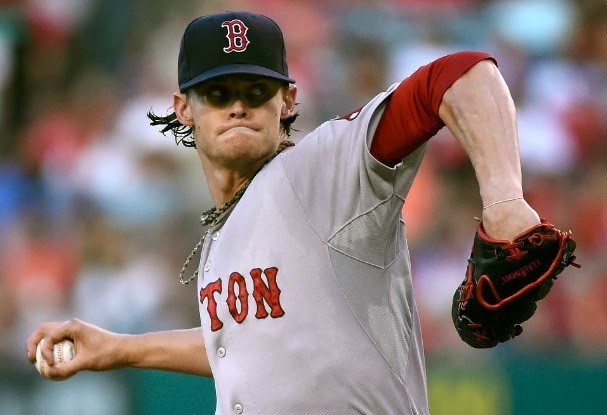 Boston struggled offensively throughout the game, especially through the first six innings in which they were held hitless by Angels starter Garrett Richards. Dustin Pedroia ended the no-hit bid in the top of the seventh inning with a lead-off single. Clay Buchholz lasted eight innings charged with three Los Angeles runs on six hits and two walks. He struck out eight in one of his stronger outings of the year. The Angels took an early 2-0 lead before Boston rallied for three in the top of the seventh highlighted by an RBI double by David Ortiz. Mike Trout hit a solo home run in the bottom of the eighth to tie the game which is where things remained until the 14th inning when the two teams traded runs to knot the game at four apiece. Brandon Workman gave up the lead-off home run to Pujols in the 19th inning.